Fancy following in the footsteps of Ed Miliband? No, we aren’t suggesting that you enter politics, only to spend five years shouting at David Cameron across the despatch box, ending in inglorious defeat. Believe it or not, we’re talking about our excellent selection of villa rentals in Ibiza here at Villa Retreats. According to reports, when the now ex-Labour leader lost the British general election the other week, he promptly resigned and headed with his wife to this famously hedonistic corner of the Mediterranean – cue hilarious mocked-up images on social media and in the newspapers of the MP getting in on the nightlife action. But it might just make you think – why did Ed hit Ibiza, of all places? Although it’s perfectly possible that the man Jeremy Paxman accused of being a “north London geek” actually has a secret reveller side, we suspect that the MP for Doncaster North didn’t choose this sunshine island for its full-throttle club nights. We imagine that he was, instead, attracted to Ibiza’s slightly more… tranquil side. Believe it or not, Ibiza has so much more to recommend it than dawn-’til-dusk partying. Yes, you can experience plenty of that in the nightlife-oriented resorts of San Antonio and Playa d’en Bossa, but you’ve also got the option of more laid-back places like Santa Eulalia, with its cosmopolitan boutiques and family-friendly beach. Alternatively, perhaps Ed was looking to expand his historical horizons with a visit to the UNESCO World Heritage Site that is the old quarter of Ibiza Town, which is surrounded by Medieval stone walls and overlooked by a fortress. Visitors can make for the waterfront for such more modern charms as the finest restaurants and bars, although we can’t confirm whether bacon sandwiches are served at any of these. Alas, the erstwhile Leader of the Opposition is not one of our clients here at Villa Retreats, but you could be. 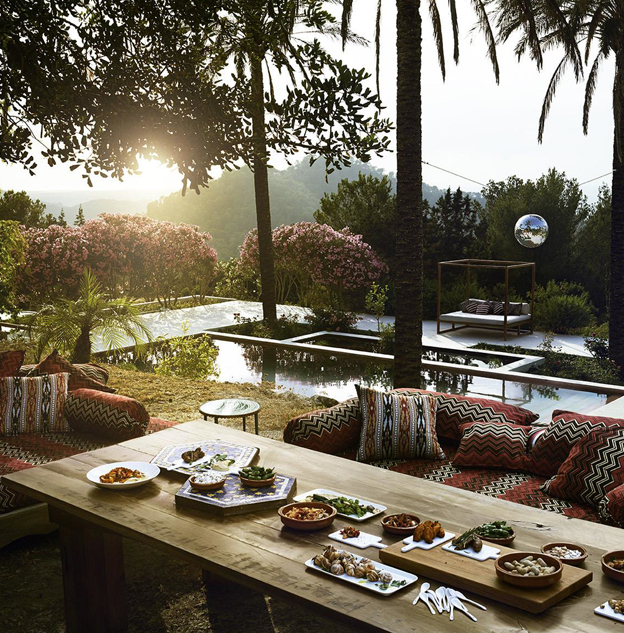 Far from merely the stereotypical hotspot for A-list club DJs, Ibiza actually has truly wide-ranging attractions, encompassing the very finest shopping, beaches and food and drink. What’s more, when you book one of our own handpicked villa rentals in Ibiza, you’ve got the very best base from which to explore them. Contact our villa specialists now about holiday accommodation of great style, comfort and character that you don’t need to be at the highest echelons of political life to experience.